If you like your Lasagna with loads of Riccota, this ISN'T for you. 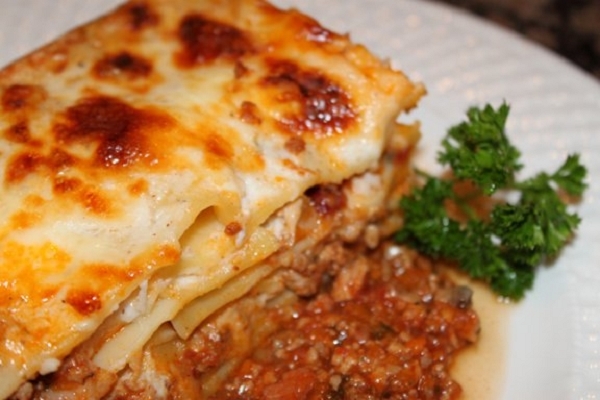 This traditional Lasagna Bolognese is one you'll typically find all over Europe. 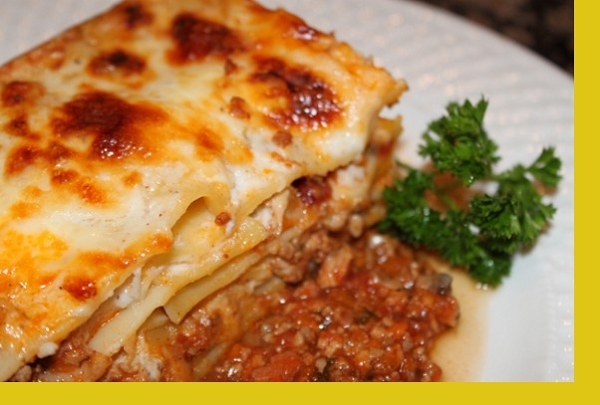 It combines layers of flat lasagna noodles with alternating layers of slow-cooked Bolognese sauce, bechamel, and Mozzarella cheese. It's high on Maria's family favorite list. 1. Preheat oven to 350 degrees. 2. Bake uncovered for 55 minutes or until golden brown on top. 3. Let rest for 5 minutes before serving. Best I have ever eaten. This is not your "american" lasagna with a lot of red sauce but we loved the combo of these flavors. I do recommend cooking 40 minutes of the time with foil tented on top and then the last 15 without the foil to keep the top layer from becoming too hard/crusty. My husband rarely says much about his meals no matter who cooks it. Unless it is not to his liking. Well, he surprised me with saying "mmm" while eating this dish! It's a winner! This tasted super fresh (live all of Maria's meals! ), but my husband and I didn't love it. :/ The portion was pretty small and it wasn't saucy and hearty enough. I didn't care for this dish. The instructions called for baking the dish uncovered. This resulted in a dry layer of top noodles. I'm wondering if I'm reviewing the same meal as everyone else. Neither of us liked this lasagna. It was very bland, and the little flavor it did have, we didn't like. Maria's dishes are usually very flavorful, but not this one. Definitely won't be ordering this lasagna again. I'm giving it 2 stars because it required no prep, which is always a good thing. Loved that I just had to pop it in the oven. So good! This lasagna was fantastic! It was perfect for my family vs the traditional italian lasagna because my husband despises ricotta cheese. 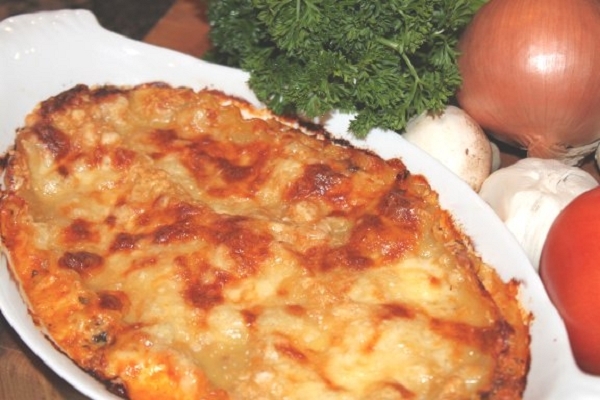 We loved this lasagne...lots of meat and sauce and very tasty! This was fantastic Maria. As pasta lovers,my husband and I should complement you. The meat sauce was delicious,and the amount of cheese was just right. Very enjoyable dinner at a very reasonable price. Thank you Maria.